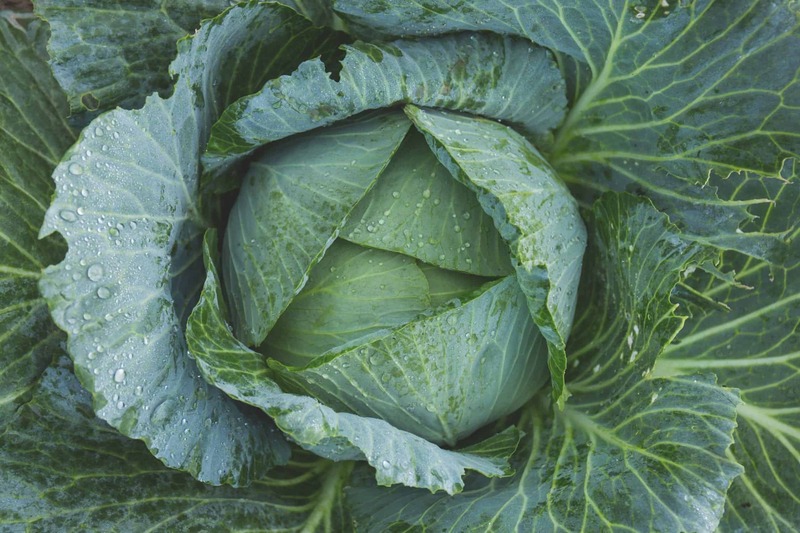 Remove outer leaves of the cabbage and reserve. Finely shred the remaining cabbage into a large bowl, using a 2 millimeter slicing blade from food processor or fine mandolin blade. Add the salt and gently massage it into the cabbage until the liquid starts to release. Let the cabbage rest for 10 minutes and massage it again. Repeat as often as necessary until the cabbage is very juicy. Pack the mixture firmly into a large jar, crock or bowl. Press the cabbage down until the liquid rises above it, about an eighth of an inch. Place the reserved leaves over the top allowing them to extend partially up the side of the crock. Put a small saucer on top. If you are using a large jar for your kraut put a weight on top of the cabbage, such as a small jar filled with water. If you are using a crock or a bowl put a plate on top of the cabbage and then a weight. Cover everything with a clean dish towel. Allow the kraut to ferment in a warm dark place for at least 3 days and up to 14 days, depending upon the desired degree of sourness. 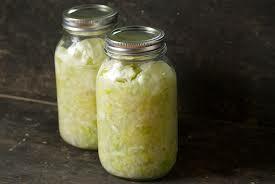 Storage Suggestion: Stored in a sealed glass jar Kraut will keep for several months in the refrigerator.